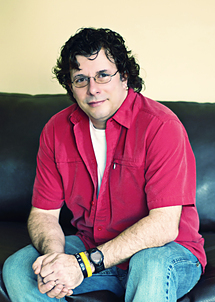 Hi, I'm Will Prentice, owner and Master Photographer at Captura Photography and Imaging in Whitby, Ontario. Will Prentice is an exceptionally creative and personable photographer with strong technical skills and over 20 years' experience in Design and Marketing. Photography: Creates stunning portraits while building a solid rapport with each subject that enhances their experience. Graphic Design: Integrates cohesive design from print to Web to video, allowing for tight integration and consistent message delivery. Training: Provides mentorship and training utilizing a multimedia approach to facilitate learning and improve retention. Leadership: A positive self-starter who can draw the best from those around him. Will communicates and listens carefully and has a proven ability to remain calm under pressure and lead by example. Captura is owned and operated by award-winning Whitby photographer Will Prentice, who has been capturing precious moments, exciting events and cherished moments for more than ten years. An accomplished and recognized Portrait Artist, Will brings an enthusiasm and attitude to each session that truly puts the focus on you. Not only will you love your photographs, you will love the experience. Having worked for a large photography company for many years, Will learned photography in the trenches. Since one size does not fit all, our flexibility and drive to provide more one-on-one service to each customer helped create Captura and build a photography partner the customer wants to work with. A strong desire to focus on students and expressions that parents want to hang on their walls are our photographic goals. Customer service is not just a phrase tossed around - we guarantee it. If you are not happy with your portraits, we will gladly retake them or provide a full refund. As a trusted face of School Photography in Durham Region, York Region, the Kawarthas and Lakeshore, Will and Captura are available for all of your school photography needs: Fall and Spring Portraits, Grade 8 and Kindergarten Graduations, Grade 12 Graduation and Senior Portraits and Special Event Groups (including Confirmation, First Communion and School Panoramics). Captura will make your photography experience unforgettable. Private Commissions are available for Business Portraits, Senior Portraits, Child and Family Portraits, Life Events (Pregnancy and Birth, Engagements, Weddings, Confirmations, Communions, Anniversaries), Sports and Special Events. The possibilities we offer are endless and each session is uniquely yours. Captura will make your moments, your memories. • Lead a team of up to 45 photographers, oversaw photography sessions for a large geographic area in central Ontario, including photography for over 300 schools, individual portraits and group and family photos. • Designed and executed all aspects of training, followed by mentoring and continual development of photography teams. Selected, trained and mentored photographers as coordinators, group photographers and for specialized seniors graduate photography. • Taught customer service skills and strategies to photographers and Customer Service Reps, resulting in reduced customer service calls citing photographic concerns. • Responsible for overall Territory Photographic quality, resulting in multiple photographic achievements by photo teams. • Provided leadership and talent-managed photographers to encourage constant improvement. • Designed and implemented performance management programs, which helped improve employee retention in a seasonal business from below 40% to over 70% in three years. • Met or exceeded all corporate goals for overall photographic quality and Seniors Prestige variety, resulting in slightly increased buy rates in a repressed economic region, while other markets showed negative growth. • Implemented technological and systemic efficiencies to decrease wages and costs per project. • Managed all photographic equipment, included troubleshooting, repairs and equipment warranties in a timely manner â resulted in zero (0) late charges for three years. • Provided 24/7 online yearbook support to 35 school accounts. • Trained yearbook advisors to create yearbooks and taught students to work together to create yearbooks, using proprietary software and Photoshop. Graphic Design/System Administrator at Parks Productions, Ltd.
• Managed multiple concurrent projects for Fortune 500 companies and Ontario government agencies, included poster, brochure, flier and complementary website design, in English and French. • Created and managed reporting systems and advertising for customer purchase incentive programs, included Employee-Priced events, Ring In and Win and GMAC financing. • Event management and data support for national Fleet Call Centre. • Print and advertising materials for Ontario Quit and Win smoking-cessation contest. • "Not to Kids" tobacco-access program targeted youth with a video created for Ministry of Health. • "A Star is Born" fundraising program for North York General Hospital foundation, invited new parents to support their hospital. • Developed and maintained multiple Microsoft Access databases and reported daily results directly to client's VP of Marketing and VP of Sales. • Managed all PC/Windows systems and co-ordinated with AS/400 manager to maximize operation time and improve end-user efficiencies. Will gained valuable experience working as a Lead Photographer for a large photography company and as a Creative Director in the Marketing and Communications industry. Known as the "Mr. Will the Picture Man", he is often spotted at local community and sporting events where he photographs his children and their team mates in action. As an active member of his community, Will coaches many of his childrens' teams and was a leader in Scouting. Besides his passion for photography, Will enjoys mountain biking, hiking, camping, computers, gaming and most importantly, his family. He and his wife Sandy make their home in Whitby and have six children and three incredible grand-children.